It’s been a lot of fun fishing red fish and speckle trout the last couple weeks . The weather has be absolutely beautiful and the fish have been very cooperative. Making our days out on the water action packed and memorable for all. I fish the back water marsh , lakes , bays , and bayous of New Orleans . Depending on the weather I make my decision on where and what species of fish we go after that day. I give my customer first choice of what they would like to fish for,then give my recommendations considering the weather and whats been biting best. Lately we’ve been running out to the bay to catch our share of speckle trout. Then running into the marsh to catch red fish around mid morning. Every day is different, every trip is different, that is the beauty of fishing. You never know what the day has in store till you get out and try. Our reds have been in the 16″-25″ range and the specks have been 12″-19″ range. Catching the red fish either with swim baits or shrimp under a popping cork . The specks have been caught with artificial under a popping cork with a few caught on tight line. 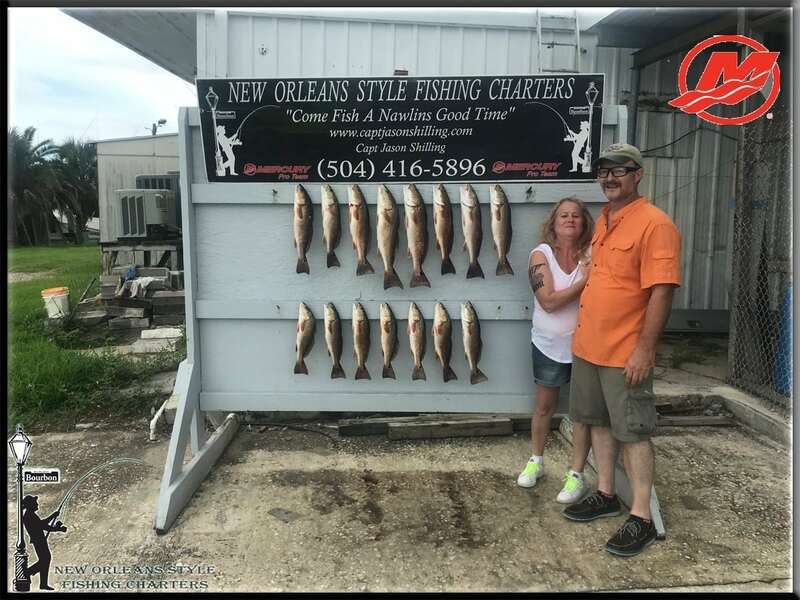 The goal at New Orleans Style Fishing Charters is to make your fishing trip fun, enjoyable,and most memorable you’ll ever go on. I love to fish and enjoy sharing my passion for fishing with others . Nothing thrills me more than to have someone say ” They had a great time out on the water with me”.